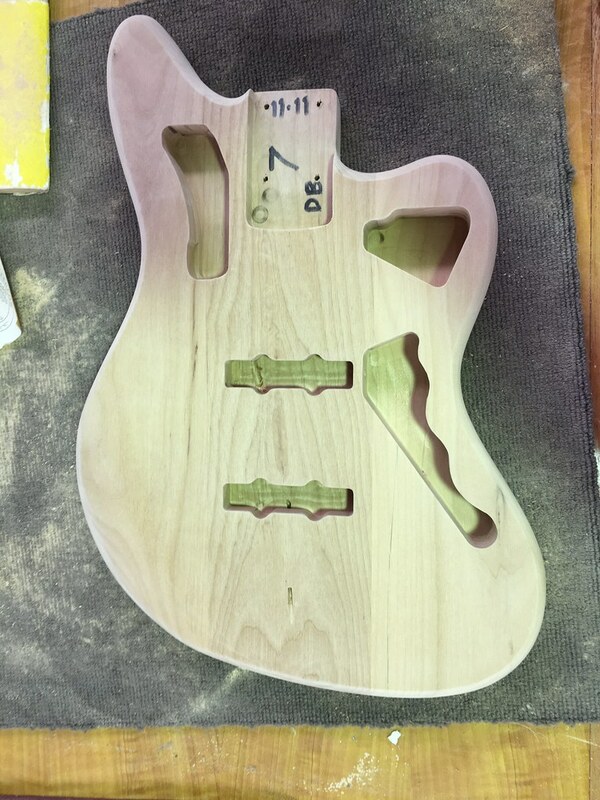 Jazzmaster Bass #2 has begun construction. In the Bat Cave at MSGM with D. Searle and R. Pryke overseeing. Rob did a great job of selecting the boards to make up the blank. Nice and light! Series/parallel wiring will cap it off! It's looking good...6 hours in this body so far. Seal coats done. Color will go on it tomorrow. 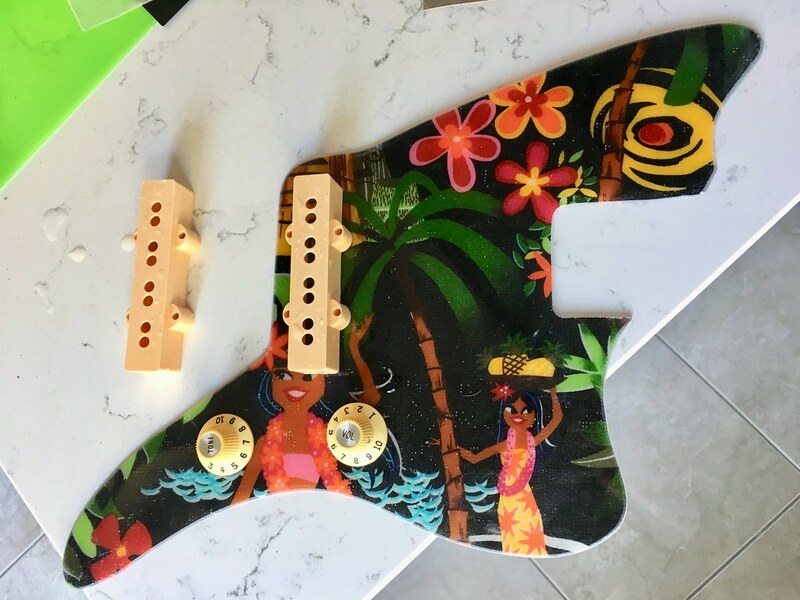 The Hawaiian theme will be continued into this build...I have almost a full square metre of fibreglass laminated Tikki fabric print to use up for pickguards. Last edited by BOSS302BASS on 23 Nov 2017, 15:24, edited 1 time in total. 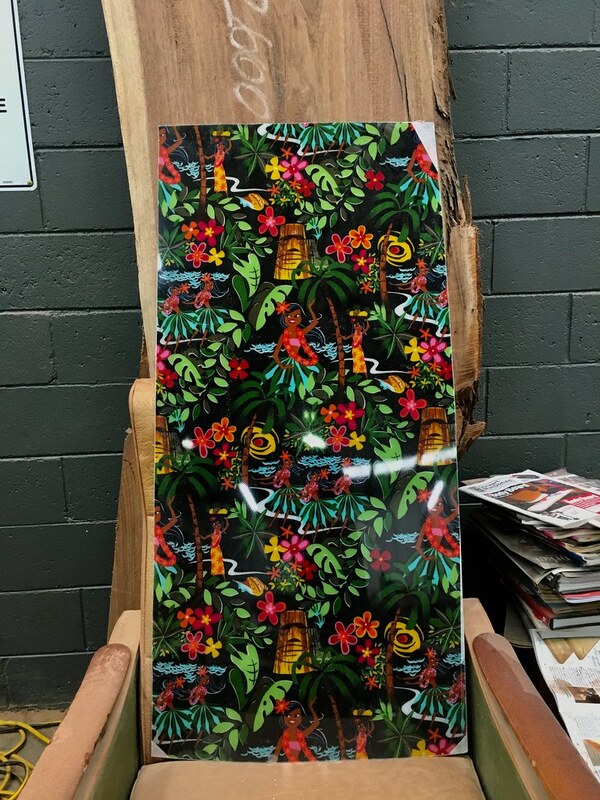 I have almost a full square metre of fibreglass laminated Tikki fabric print to use up for pickguards. Body will get finished off on Tuesday. Neck next. 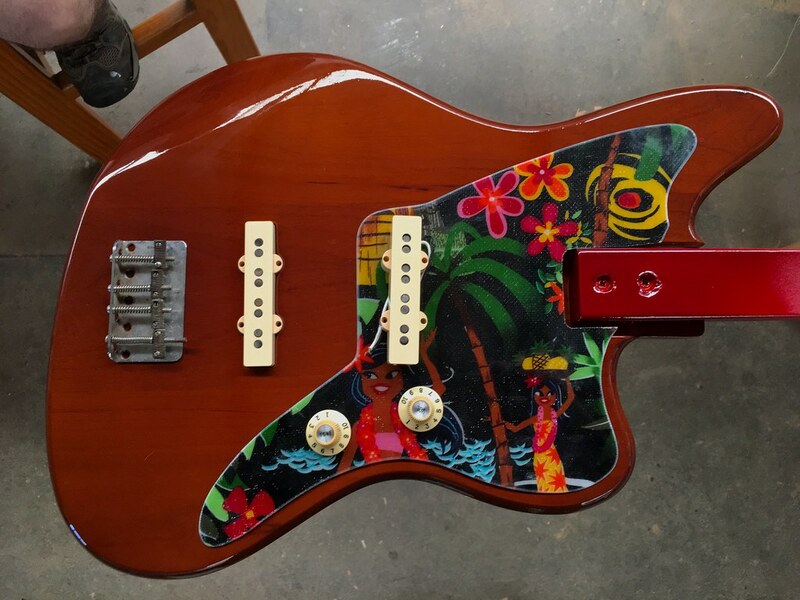 Pickguard also should be done by Saturday. 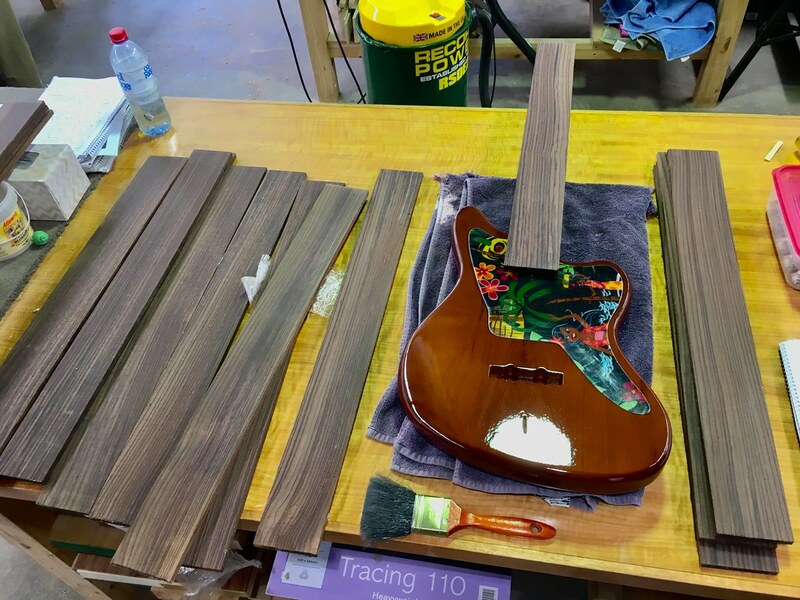 Melbourne School of Guitar Making...where all your instrumental dreams become a very woody reality! This is gonna look spectacular. 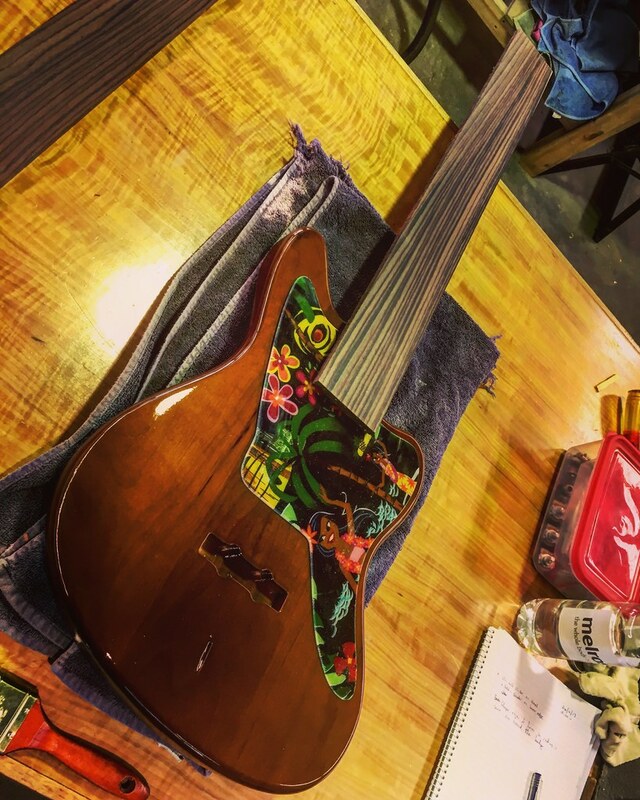 Does the neck in this case have a radius? 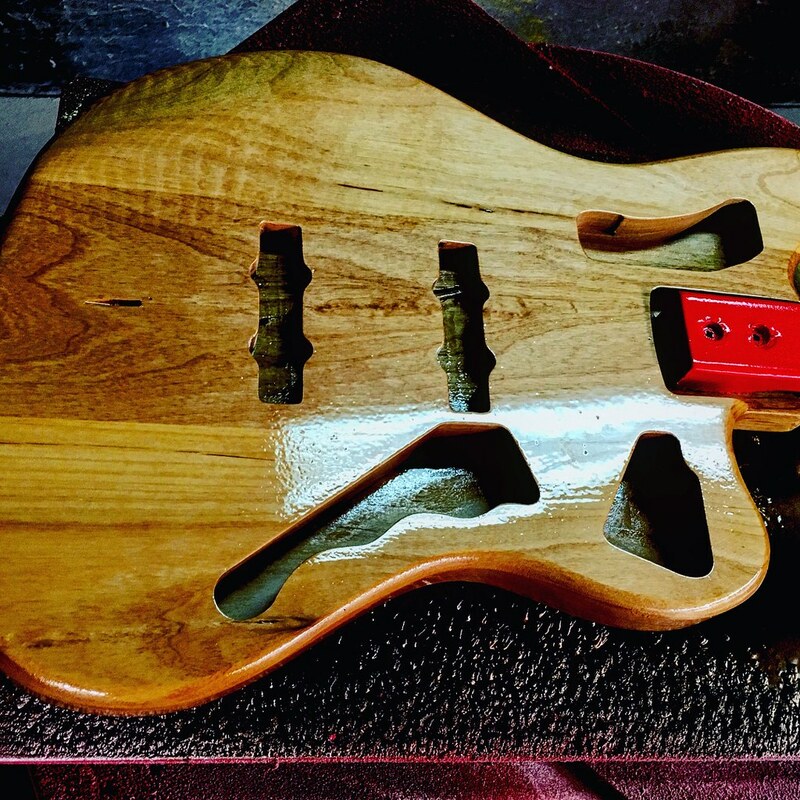 This sounds like something different to putting the radius on the top of the fretboard and gluing that onto a flat neck. 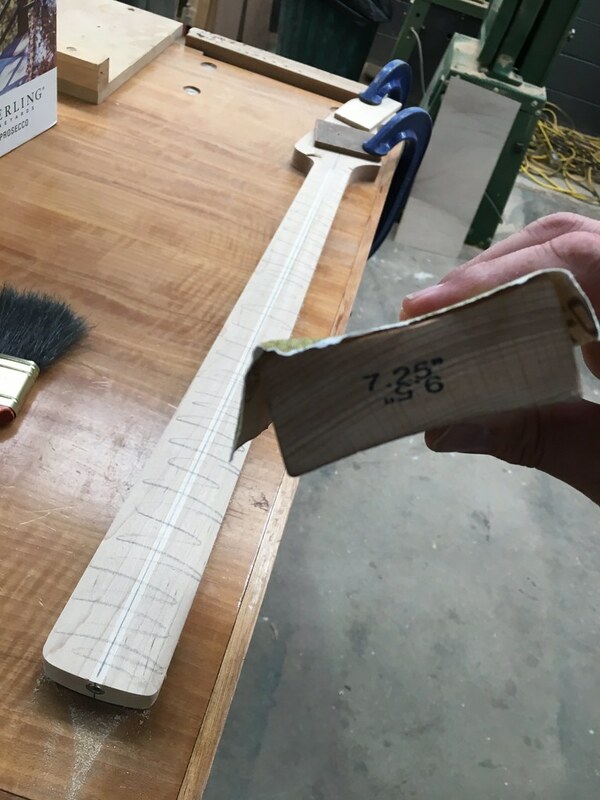 Certainly is a radius on the neck for a veneer fretboard, how novel! Here's what it looks like when finished on the right, compared to the 'standard' on the left (instead of 1,000 words). They your necks, Nick? 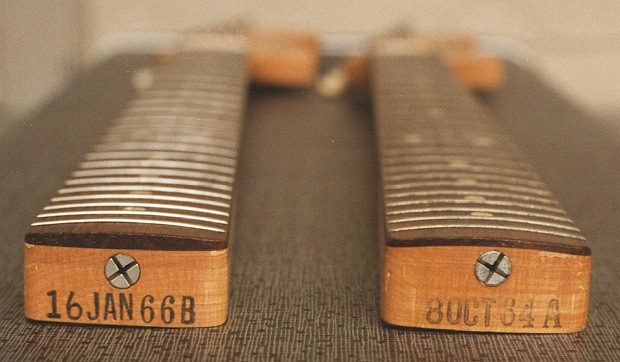 Interesting to see a slab board from 66! Nah stole it from the internet.